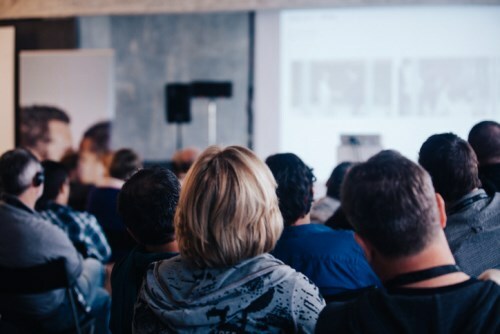 The last professional development roadshows for financial advisers run by the Professional Advisers Association (PAA) and the Institute of Financial Advisers (IFA) have been exceptionally well attended across the country. From now on, such roadshows will be run by the newly formed Financial Advice New Zealand. PAA chief executive Rod Severn said the last three weeks of roadshows have been the best turn out since he took helm of the PAA four years ago. “It’s been very, very good. It’s been very solid,” he said. When questioned why this year’s roadshows have been so well attended, Severn said there were several reasons: “Advisers are looking for information, in a number of locations we’ve had the Code Working Group on the licensing side. “It’s been really encouraging to see so many advisers attending the roadshows because more and more we need engagement with advisers, for two reasons. One for their education but secondly, they get to network with their own peers and they get to sit down and swap stories, and hear what’s good, and what’s not,” Severn added. The roadshows have just completed the South Island leg of their three-week tour, which started in Nelson, then Christchurch and ended in Balcutha, which was a mid-way point for advisers from Invercargill and Dunedin. The roadshows catered for all financial advisers – mortgage, risk and investments. Severn said that despite certain session being tailored towards a specific discipline, the majority of advisers attended all the sessions. “Most advisers have stayed for all the sessions, the openly session has been a mortgage session on non-bank lending, in most cases we have had more than half the audience is not involved in mortgage broking but has attended the sessions and have participated in the workshops,” Severn added. Last week, Insurance Business reported that the North Island leg of the roadshows had been as well attended as the South Island leg. Steven said the sessions had been “fully booked in every location” and in some places, more advisers than were registered have turned up. The roadhsows were free for PAA and IFA members, but all advisers were welcome to attend the day-ling sessions, which were worth four CPD points. The PAA conference in September in Rotorua is worth between eight to 10 CPD points.